EF#22 Singapore, Wait For Me! Sometimes I wonder how time flies so fast. I feel like just yesterday when I told travel story about Bogor. And now here we go again with another challenge. This week’s challenge a little bit hurt my feelings. It’s hard to remember a failed holiday, which is the most hateful, sad, awful remembered moment for me hahaha! I have shared this story over and over again in this blog, that my friends and I failed to go to Singapore last February because I had to go for Umroh (which turns out to be a journey that I have never ever regret it). We arranged the destination and tickets since one year before. I really wanted to go because I think that this year was gonna be the last year when my friends and I go traveling while still single (I mean, most of my friends are going to be married this year, while I am still wishing hihihi). I even went for blog competitions and wished that I could travel to Singapore for free. And sadly, I didn’t win at all. By the way, do you know why I want to go to this country? I wanna see this, and makes me wanna visit there more after I read this. Adoooh Unaaaa belom tau kapan nikah neeeeh hahahaha. Iya ya SGD keterlaluan banget tinggi bangettt hikssss…. Iya nih Mbak Fajar. Aku lagi semangat lg nulisnya hahaha. Semoga dalam waktu dekat bisa ke Singapura, Mbak :)). 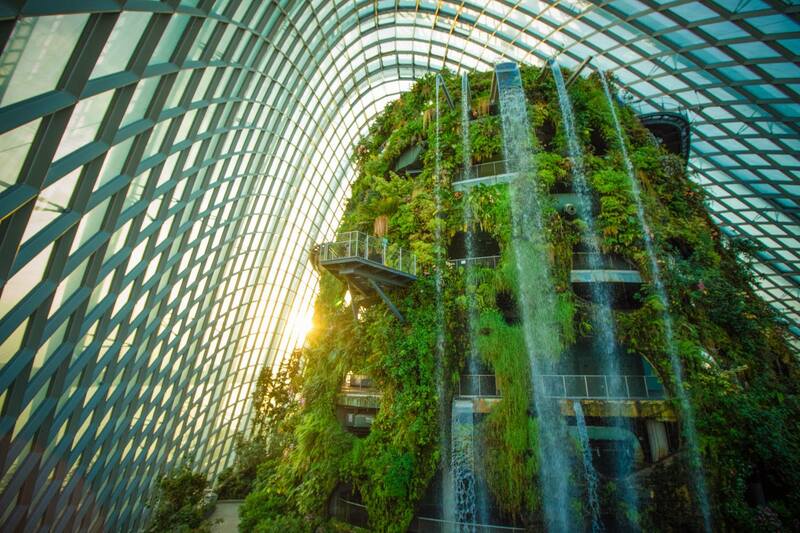 Saya juga belum pernah ke sana jadi sejauh ini juga cuma bisa melihat keindahan Gardens by the Bay dari foto-foto :hihi. Tapi saya salut lho sama orang-orang yang bisa mendahulukan perjalanan religi (seperti umroh) ketimbang sekadar berwisata. Itu artinya mereka menempatkan agama pada posisi yang sangat penting dalam hidup :)). Hi, Mbak! I wish you could go to Singapore soon, very soon, and witness the beauty of Gardens by the Bay! But I'm quite happy that you put religious trip first–somehow I do admire people who put their religion as first priority on their life :)). Aku error comment di sini tadi. Hiks. Semoga kesampaian ya Lia ke Singapore nya.